she is 10 years old and a lost soul necros found, she is happy and cheerful and mostly always full of joy. But Necros it gets so boring here without you. 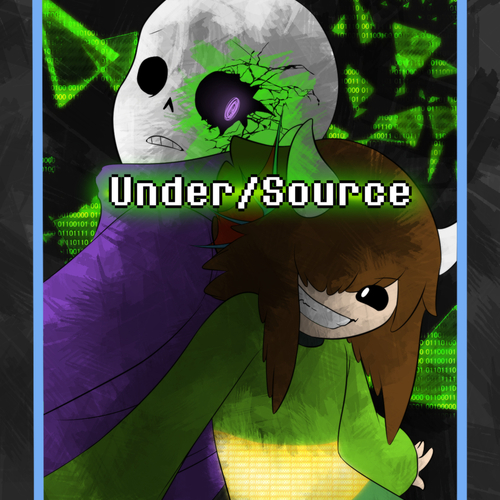 Chara using a hack to alter the AU of Undersouce, id say she would sound evil and a little crazy. and right now she doesn't have a big part yet but she could be having a bigger part soon. sans ? whats with the weird clothes? Heh. you "sea-m" lost, need some "kelp" getting back? Hehe, so who are you anyway?